Home dailythings Health & Wellness Health and Wellness knowledge recent slider technology video Viral Section E-Cigarettes Causing A Horrible Incurable Disease Called ‘Popcorn Lung’. Ever Heard Before? 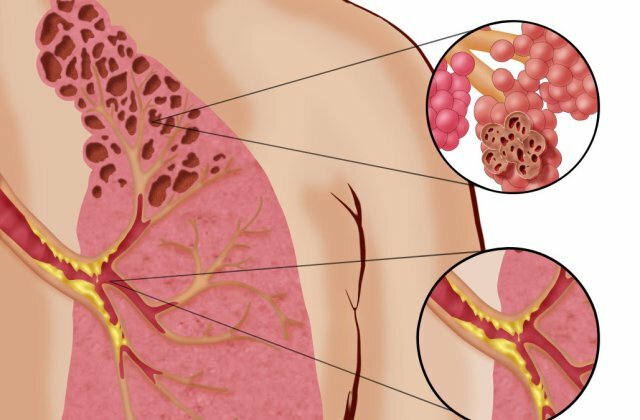 E-Cigarettes Causing A Horrible Incurable Disease Called ‘Popcorn Lung’. Ever Heard Before? The latest trend in smoking has been E-cigarettes. They have been promoted as a much safer alternative to smoking regular cigarettes. But of course, there’s the old saying that starts out, “if it’s too good to be true…” It turns out the Harvard School of Public Health decided to do a study on E-cigarettes and the results are startling. It looks as if they may not pose the traditional cigarette threat, but they pose a different one altogether. It turns out the Harvard School of Public Health decided to do a study on E-cigarettes and the results are startling. It looks as if they may not pose the traditional cigarette threat, but they pose a different one altogether. Diacetyl is a flavoring chemical used in E-cigs which are linked to cases of severe respiratory disease, most notably the incurable condition called “Popcorn Lung.” This condition was first noticed in workers in microwave popcorn processing facilities who inhaled the artificial butter flavoring. The disease is totally debilitating and irreversible. It’s a respiratory disease which causes scarring in tiny air sacs in the lungs. This leads to shortness of breath and excessive coughing. Allan also noted how scary these findings are as the flavor names of these e-cigs include cotton candy, cupcake, and other flavors which would clearly be attractive to young people. It looks like the fruity-flavored “safe” alternative to traditional smoking, may not be all that after all, and it probably is best to cease any e-cig habits until further research is done on this emerging smoking trend.